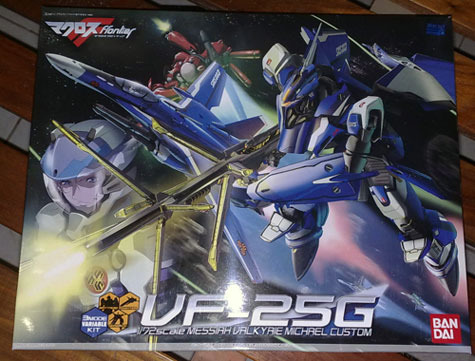 Decided to start an informal (meaning when I have time) translation project of the manual for the 1/72 VF-25G Model Kit from Bandai that I recently bought. It initially started with the translation of the VF-25G's Color Guide and then ended with translation of some parts of the VF-25G's manual. Then I realized that since I won't be assembling this model in the near future, might as well have everything in place once I do decide to build it. Its going to be hard moving back and forth between the manual and a Japanese-to-English dictionary by that time. So here is what I have so far. Once again, I have to say that I'm no expert in Japanese and I forgot a whole bunch of it already after not having spoken to anybody in Japanese for over 6 years already. One reason I'm doing this also is to regain all that Japanese language skills I had learned after living in Japan for a year. Who knows, this might just be the nudge I need to study for that Level 3 exam I've been wanting to take. 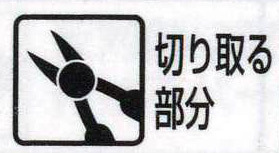 This was included with the parts list and these characters often appear in the manual. At the bottom of the page there are these small boxes with symbols in them that appear through out the page. Here is what they mean. Usually means that this procedure has to be repeated "x" number of times depending on the number depicted because of the number of the seemingly similar parts involved. 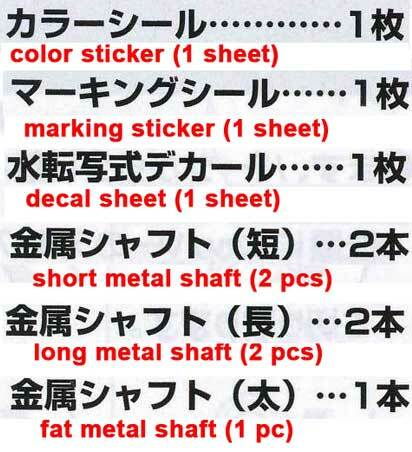 This is the sticker reference number on the sheet. 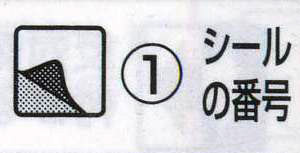 In some instances they don't use a number but a hiragana character. In that case look for this character in the decal/sticker sheet. No of degrees the part will be moved opposite in orientation. Mount the part on both sides. Part must be cut off. They usually mean the "Gates" here. With a previously assembled part　or assemble/join with a previous part. Decal No. Similar to the sticker number mentioned above. Parts will be installed on opposite sides. That's all for now. Will continue again soon with the other pages, so kindly check back once in a while. Update: Part II of this English translation continued here.